One easy way to make sure you are creating and using clear learning targets is a focus wall. I love having a wall with my targets, as well as our focus topics for the week. I can continuously refer back to our wall throughout the day and my students are fully aware of what we are working on, and what they'll be able to do by the end of that day and week. FIP requires students to take ownership of their learning. 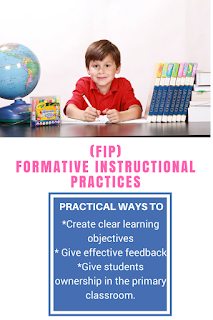 The way I write my learning targets also helps my students to better understand what they'll be doing in each activity and how that will lead to their learning. Instead of just writing, "Reading: I can read fluently." My targets say something like, "Reading: Today we will re-read our poems, so you can say: I can read fluently." 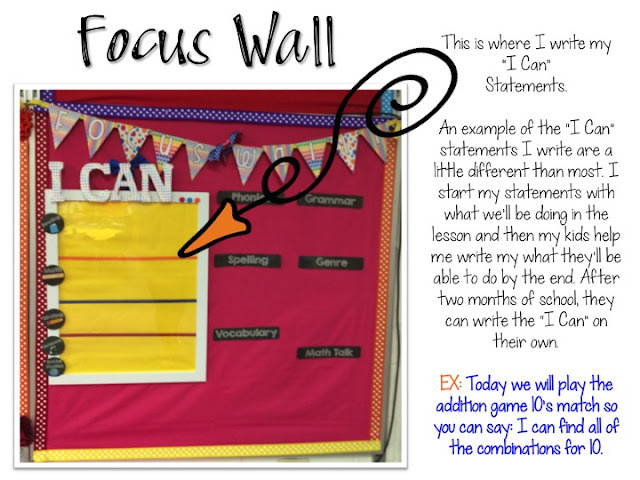 After only a few weeks of writing targets by first saying, what our activity will be, my students were then able to tell me what the "I can" part of the statement would be, or what they would be able to do after the activity or lesson was over. 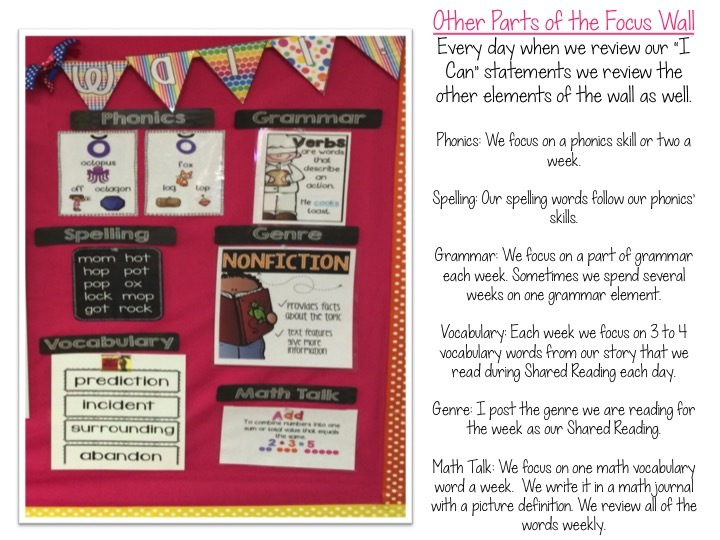 In addition to our learning targets for the day, I put our weekly focuses on the way as well. I list our spelling words, vocab words, our phonics skills for the week, grammar for the week and a math vocabulary word on my wall. As part of my morning routine each day, we write out our learning targets and review all the items on the wall. 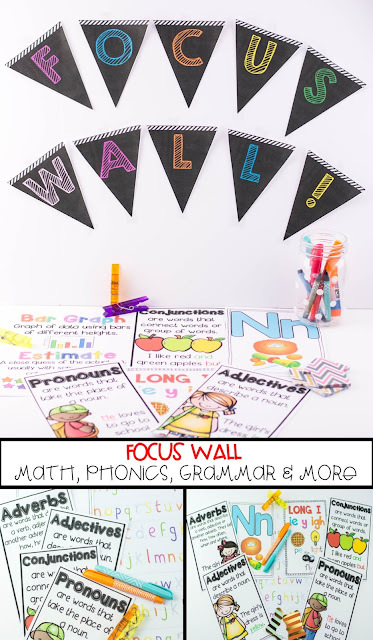 If you need a place to keep you and your students focused, then I highly recommend creating a focus wall and making sure your students are aware of their learning and understand why they are doing what they are doing. When marking on students papers, don't just put a check mark, a smiley or a percentage. Write a short note writing what you liked about their work so they can continue to do those things in the future. If something is incorrect you need to give the student a direction to help prevent them from making the same mistake twice. For example: I loved the way you stated your answer and explained your thinking. or You have the correct answers but please make sure you show your work so I know the steps you used. Also, talk to your students about how they learn best. What were some of the activities they loved the most. Why did they like those activities? This gives you an idea of how your students learn best so you can plan for the future. For kindergarten students even post pictures of activities you've done in the past and have them vote on the activity that was their favorite. Talk about why. This helps students take ownership in their learning and gives them some control over future learning.